Everyone imagines Spain as the sunny country based in the south of Europe. However, the truth is that the weather here changes drastically depending on the time of the year and the region. Did you know that the lowest temperature which was ever registered in Spain was -32 C in Lleida on February 2 of 1956 and that the highest temperature of more than 47 C was reached in Montoro in 13th of July of 2017? Not a lot of people know that during the winter time Spain becomes a great skiing resort. The average temperature in January can drop as low as 6 °C (43 °F) during the day and during the night it can get below 0 °C (32 °F). We put together a small table showing the winter average temperature in 6 largest cities of Spain. If you are planning your winter holidays in Spain and you are just desperate to enjoy some sun we would definitely recommend going to the most southern part of Spain, Malaga. The good news is that if you are winter sports lover the ski resort of Sierra Nevada is just 2 hours away by car taking a road heading towards Granada. Spring season can bring different weather every year. Sometimes it can still be cool or switch very fast to summer temperatures. April. Spring is a perfect time to visit Sevilla, Madrid and other none Mediterranean areas especially for those who are not used to or have a problem quickly adjusting to the hot weather. Feel the heat of the sun during the Spanish summer! It is almost impossible not to get burned thus, make sure that you use as much sun protection products as possible no matter in which part of Spain you are at. July. During the summertime, we would really recommend staying away from places such as Madrid, Seville not just because there is no access to the sea but also because the temperature in such areas can get over 40 C which due to the very dry air will feel like 50 C. Thus, pack your suitcases and head to the coastal areas such as Barcelona, Malaga, Valencia. The weather here also can get super hot however at least you will be able to refresh yourself by swimming in the sea and also the heat will not feel as strong as in the areas of the middle of the Spain. 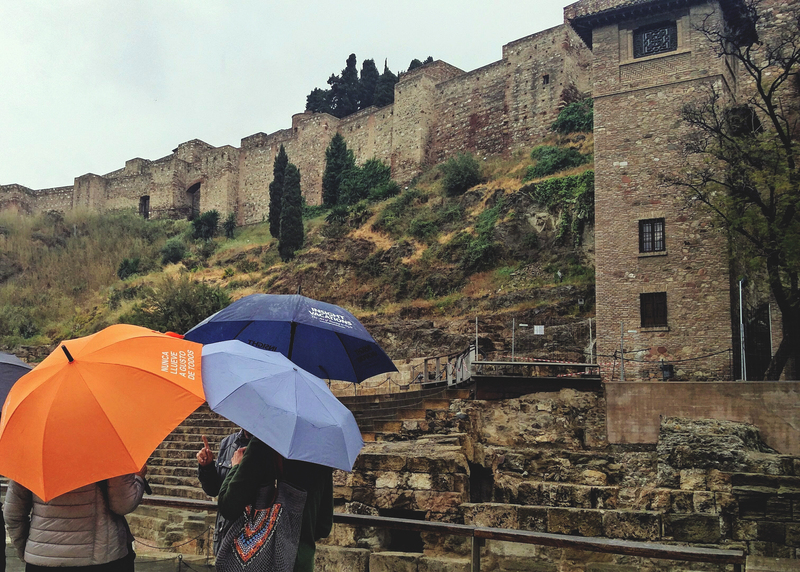 Autumn weather in Spain can be as unpredictable as during the spring. However, in general, if you are visiting Spain up until the middle of October, you should still be able to enjoy the pretty warm sea and sunny days especially in the south of Spain. Don’t miss the last chance of the year to enjoy sunny relaxing holidays time. Head towards the south of Spain it shouldn’t disappoint you. If you will get one cloudy day in a week we are sure it is nothing when you compare it with your home country. Ready steady go! Book your holidays at the favorite place in Spain and make sure that it is going to welcome you the way you expected. We hope that these small statistics will help you to make it happen!